Microfilm Migraines–What Document Imaging Options Can Counties Count On? The effective and secure management of public records is an essential element of the trust that constituents place in the hands of county administrators and government leaders. 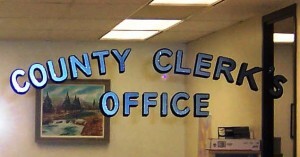 County government is often responsible for a wide range of public records, from prison records to maps, deeds and sketches, to child protective service agency records. Longevity and accessibility are two priorities for counties and their “customers.” Storage requirements can vary from county to county, from 3 years to 50 years. To address this need in many places, microfilm/microfiche has been and continues to ensure a stable storage format. While this may seem archaic, many agencies still rely on microfilm. Image Data has helped county recorders, auditors, sheriffs, treasurers, clerks and other administrators. The rationale is “Electronic images downloaded to microfilm reduce the need for costly image migrations due to changing programs or software.” At Image Data, we’re confident that core formats like TIFF, JPG and PDF are here to stay. And, they are “platform-agnostic” – that is to say, they are used across many different enterprise document management solutions. While software or web-based services may come and go, the file formats they manage and access won’t be going anywhere. Pricey image migration is no longer a viable defense for continuing microfilm. Cultural and legislated resistance to change along with funding pressures may be the more likely culprits. To be fair, while microfilm is their primary archival format, the county appears to perform both electronic and microfilm archiving, the former for access and the latter for long-term secure storage. Still it is surprising that what is now considered a “mid-20th century preservation strategy” continues to hold sway with many county recorders, auditors, sheriffs, treasurers, clerks and other administrators in the age of cloud storage solutions and imaging strategies that are digitally oriented. Accessibility was mentioned above as the second challenge. Not only is it important for county agencies to have quick access to records, citizens increasingly expect access to documents online, via agency websites. Document management departments, previously preoccupied with scanning to microfilm and printing certified copies, now also have to provide technology infrastructure that enables online search and retrieval of documents. We’ve come a long way from visiting the records counter and waiting patiently as the right film spool was retrieved and loaded. Now, records are indexed and searchable online, reducing the gap between search and access to a matter of seconds. What is your county agency or department currently using for document management? And, more importantly, what do you want to offer your constituent customers? Image Data has an extensive track record working with county-level customers who plan to continue on microfilm formats as well as those who need expert insight on migrating to digital. 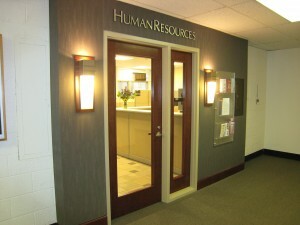 We also work with customers in a hybrid environment like Franklin County. Work with Image Data to identify and implement the best solution for you. Contact us today for a no-obligation evaluation of your county’s needs and objectives. Located in rural western Massachusetts, Williams College represents the best of New England’s liberal arts college traditions. For over 300 years, Williams has offered an elite curriculum in humanities, sciences and social sciences. Williams was ranked first in U.S. News & World Report’s 2014 ranking of over 260 liberal arts colleges in the United States. Forbes also ranked Williams the best college overall in the United States in its 2014 publication of America’s Top Colleges. With enrollment of over 2,000 students and a faculty of over 300, Williams works hard to provide the highest quality education for its students. Those four years students spend at Williams are just the beginning of a lifelong legacy that Williams cultivates with its alumni. In fact, Williams boasts the oldest continuous alumni association in the world with more than 28,000 living alumni. While many verticals migrate away from paper as a key method of communication, print communications, namely letters and mailings with a personal touch and easy-to-reply forms, continue to play a vital part in the mix of Williams’ alumni communication. Still, maintaining an engaging relationship with such a diverse and large alumni community takes smart planning and strategic vision with scalable platforms for communication and archiving. This allows for providing fast, electronic access to alumni records that are in sync with newer electronic records. When the Williams college selection committee contacted Image Data, they had a clear, overarching goal: converting paper to electronic formats. More specifically, a major project was identified to convert alumni paper files to an enterprise content management (ECM) system. Image Data was selected as a trusted partner to work with the Williams team to ensure a high quality transition. Over the course of four winter months, Image Data provided a collaborative set of services that included packing and transporting paper files, scanning documents, and indexing them in a format that would make them easy for search and retrieval later. In the end, the scope of the Williams project required about 800,000 pages to be digitized and indexed. No matter how quickly the job needed to get done, quality remained a top priority. Working with Williams, Image Data developed standards and a quality control process to ensure that the quality of the images and the content within each file were of a high standard suitable for such a venerable organization’s alumni development needs. Image Data also used an impressive capture and cataloguing system system with barcodes that matched ID numbers to alumni files which was described as “impeccable” by Williams. The massive project was completed on budget and Williams’s alumni development staff can now research and retrieve a far-reaching range of historical alumni documents without wandering through a paper archives filing room, hoping the needed file wasn’t missing or damaged. Online access ensures 100% availability of documents and in a format that’s accessible at an office desk, at home, at an alumni event or on the go. The school also has the added peace of mind that all their records have an added layer of protection from the hazards of extreme temperatures, humidity, fire, misplacement and theft, like paper records. Now that the Williams College alumni file conversion project is complete, Image Data is working with Williams as they begin to evaluate future document conversion projects for the files of other departments at the school. With Image Data’s track record, they’re preparing to go “back to school” and are ready for their next “assignment” from Williams College. To learn more about how Image Data can help with your alumni records document management challenges, contact us today. Read how we’re working to offer the best for Image Data customers by investing in the best-optimized technology solutions to tackle your document management needs — at your site or ours. CHALLENGE: For much of our service bureau work, Image Data hits the road. Because a good portion of our projects are done on-site at client facilities, finding the best portable scanners was an important element in continuing to address growing customer needs. In business for over 20 years, Image Data has used portable scanners in the past, but we found them cumbersome, difficult to transport, and lacking in desired speed and features. When the time came to purchase new scanners, we had our customers’ needs front and center in the selection process. We researched and tested scanners with comparable specs, and talked with other service bureaus and end users about their experiences and satisfaction with a variety of scanner models from various manufacturers. Take, for example, our customers such as law enforcement agencies. They often request 300 dpi color scans, as there are photographic images and color halftones within documents. In law enforcement, for example, varying color indications on drug testing reports reflect different results. Our three Kodak i5800 Scanners run at speeds comparable to other more expensive scanners, and deliver overall faster throughput at higher dpi and color settings. More and more of our customers are asking for color and higher dpi scans in order to assure record output maintains outstanding detail, printing quality (when needed), and photo reproduction. We position our services as “Document Management Made Simple,” providing a strategic process that evaluates a prospective customer’s current situation, identifies well-matched solutions, and implements an ideal approach with a focus on quality, budget, and timeliness. Our Kodak Scanners set us apart from other document management vendors by helping us fulfill these critical aspects of each solution, delivering speed, affordability, and flexibility. If you’re thinking about a document management project, be sure to ask prospective vendors about their technology solutions. See how they stack up with Image Data’s leading edge and on-site-friendly scanner technology, then contact us. A short time after I moved to my present town outside Albany, back around 2005, I decided to find a primary care physician that was local. After consulting my insurance’s directory of providers, I booked an appointment with a doctor about ten minutes away. When I first visited, I was shocked and frankly a little alarmed to discover that not one computer was present–in 2005. There wasn’t even a relic of a beige tower with curved-screen CRT by its side. Instead, there was, in a prominent location, a typewriter (IBM Selectric — with “the ball”) on a classic, steel-gray, wheeled typewriter cart. Behind the main counter, I could see a doorway that revealed a wall of files with a chaotic rainbow of color coded tabs that seemed to run to the other end of the building. “That is a lot of paper,” I thought. When I received my handwritten, triplicate co-pay receipt, I then thought, “I bet there is a lot of cursive writing in that file room!” In fact, everything there was still being done manually, via fax, via mail, via typewriter and triplicates. Only eight years ago. True, some years have passed and there have been some dramatic changes since then. The issue remains however that in healthcare organizations as small as this suburban doctor’s office to multi-site hospital systems in major metropolitan areas, the migration to electronic patient records has been slow. The US government’s $35 billion “meaningful use” programs to incentivize healthcare organizations to adopt electronic health records (EHR or EMR for electronic medical records) has accelerated the adoption rate. Still, there remains a Grand Canyon-wide chasm between (A) new patient records that are created today on systems like Cerner, Epic, McKesson, Siemens, Meditech or other EHR vendors and (B) the existing volumes of paper, offline records for some of the very same patients who are coming in today and having a new, separate EHR file created. In some cases, IT vendors are bridging the old and the new in innovative ways. For example, in the Capital region, document imaging vendor Image Data works with small to large healthcare organizations to smooth the transition to digital and to make it as seamless as possible. Working with administrators and IT leaders like CMIOs and other medical informatics and healthcare IT leaders, they evaluate tailored processes to scan and index paper patient records for online access. The end result is that the shelves and shelves of patient records maintained at a 3rd party location, can be replaced by a secure browser window where thousands upon thousands of records of multiple formats can be searched and retrieved from the cloud, to be displayed on-screen in the universally familiar format. Additionally, many documents with typed or printed text can be indexed so that searching can be done within the document. If a hard copy is ever needed for an immediate request, it’s only as far away as a click on a print icon. Depending on a site’s configuration, doctors and clinicians can also take patient archive searches on the go, browsing for records via app or browser on their smartphone, iPad(R) or other tablet. 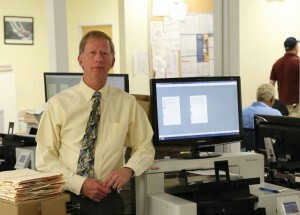 Some hospitals, working with document imaging and management vendors like Image Data want to make a tighter connection between their scanned paper records and their EHR. With more sophisticated IT development, there are instances where records from a year ago, or a decade ago can be retrieved directly within the EHR. For clinicians and healthcare administrators, fewer clicks to the right record can mean a faster answer to a patient question, a better diagnosis, fewer unnecessary tests, and lower operational costs. The ROI of a migration from reliance on paper records management vendors to a virtual, turnkey, online document management solution is discovered in every moment there is a need to review a history and the costly time meter starts ticking before a record is delivered, before a clinical decision is made or while healing is held-up by a paperwork request. Healthcare technology is a progressive, forward looking space. 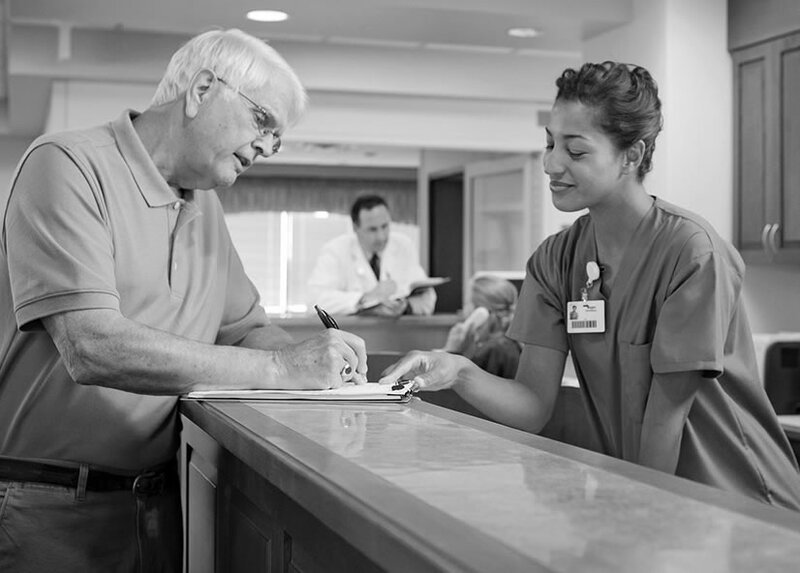 But, the most sagest CMIOs and HCIT leaders have discovered that preserving the capability to look backwards, principally when it comes to a patient’s history, must be a key element in the march forward toward better care.